For regular guests of Tigrus holding restaurants there is bonus loyalty program. and use them to pay up not more than 75% of the bill in any restaurant of the holding. Be the first one to hear the news and interesting promotions! 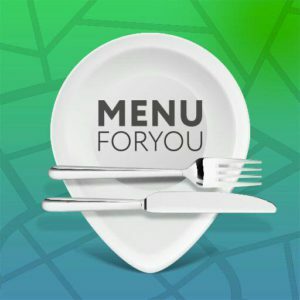 Download the Menuforyou app and get 300 welcome bonus points. With each payment, the card returns 5% of the amount of your order. If the total amount of your orders exceeds 25,000 rubles, the return will be 7%. If the total amount of your orders exceeds 50,000 rubles, the return will be 10%. By filling in your personal data, you can get a 15% discount on your birthday! The discount can be used for 5 days before and 5 days after the birthday, showing the waiter a passport or coupon that is automatically generated in the application. *If you have any further questions regarding the loyalty program e-mail us: info@tigrusrest.com.